October 4th for Syracuse still available. 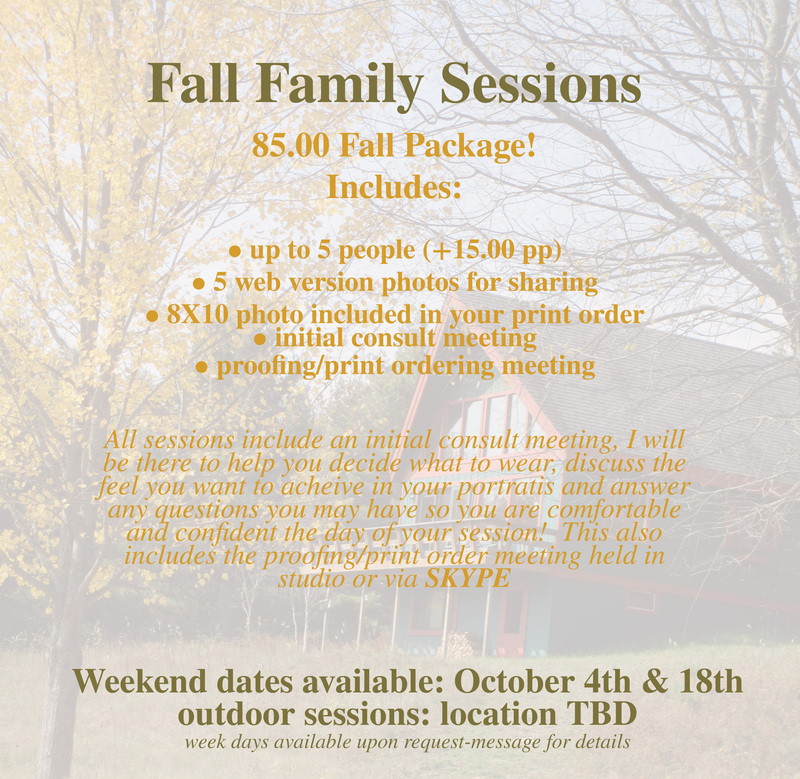 Would love to capture your family this fall! This is absolutely my favorite time of year. So much so my husband and I created our own holiday, FALLADAY 🙂 For the past 6 years we have eaten breakfast in the same diner, taken a drive around Skaneateles lake to view colorful foliage, picked our pumpkins for carving, and our apples for baking. The image you see in the flyer is where we spent our 5th Falladay and is also where we got engaged. Every part of the season makes me happy; the smells, colors, sounds of blowing leaves and breaths of crisp air. I would love to help create memories by photographing your family portraits this time of year. Capture your little ones playing in the leaves, all yal walking in the park or a great portrait by the lake.